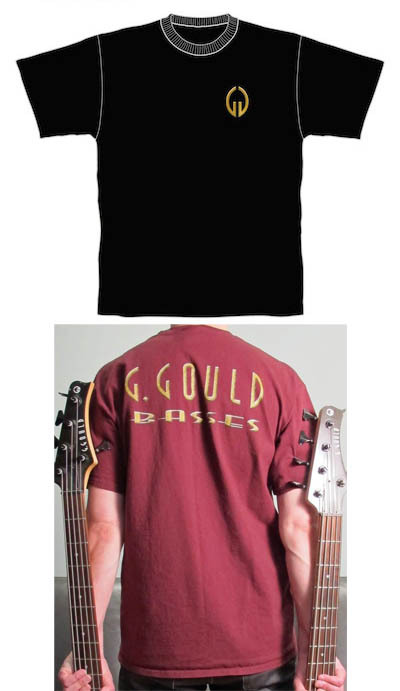 This shirt features a beveled, multi-color screen print of the logo on the front, and "G. Gould Basses" on the back. The image on the left shows the black shirt on top, and the maroon version on the bottom. From time to time we may have different colors available on a limited basis. This product weighs 0.65 pounds.